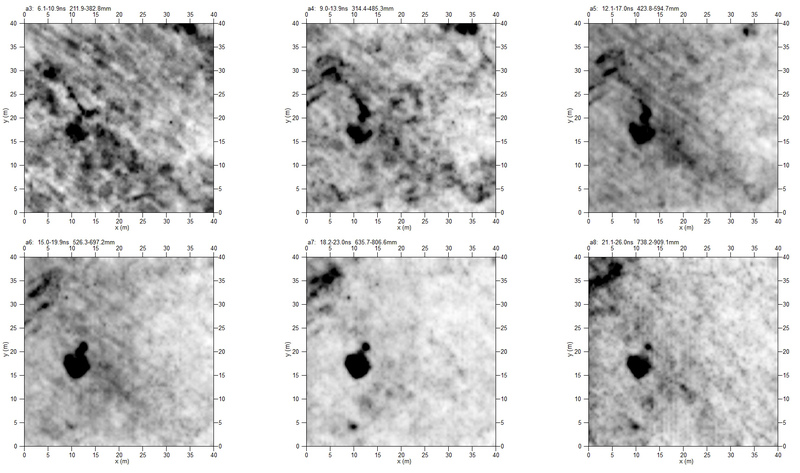 New to the blog or geophysics in archaeology? 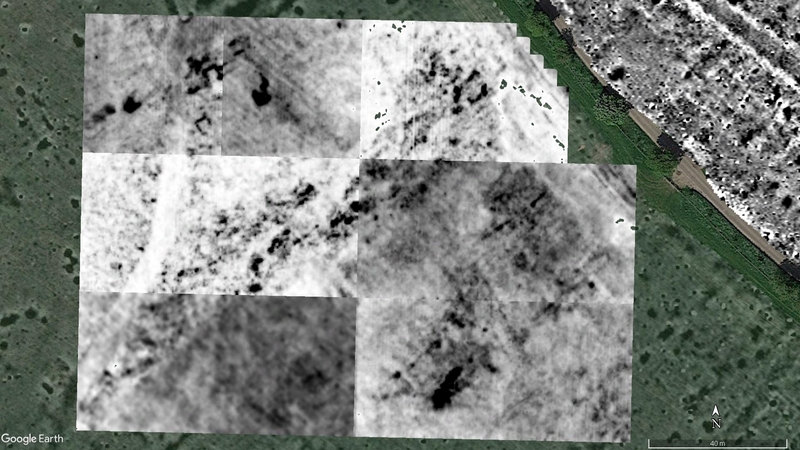 Check out the “Geophysical survey in Archaeology” page. What do you think? clicky linky thingywotsit. I believe Jim enjoys mountain biking! 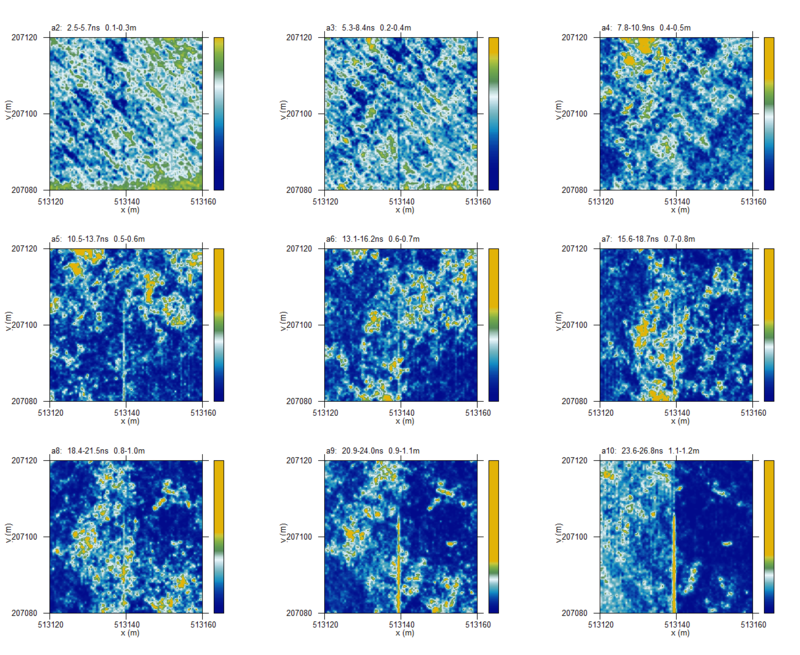 This entry was posted in general, Uncategorized and tagged alternatives, cart, cycling, magnetometer, youtube on April 29, 2017 by hertsgeosurvey. Firstly, I’d like to wish all our readers, and especially all our volunteers, a very happy New Year and all the best for 2016. 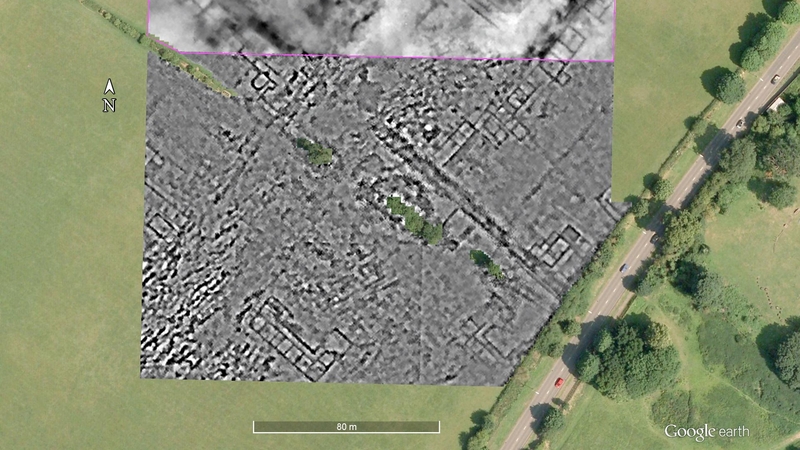 This past year has been very productive with our big survey at Verulamium, but also other surveys around the region. We have had an article published in issue 310 of Current Archaeology, and another article awaiting publication in the journal Archaeological Prospection, as well as a short piece in the International Society for Archaeological Prospection‘s newsletter. 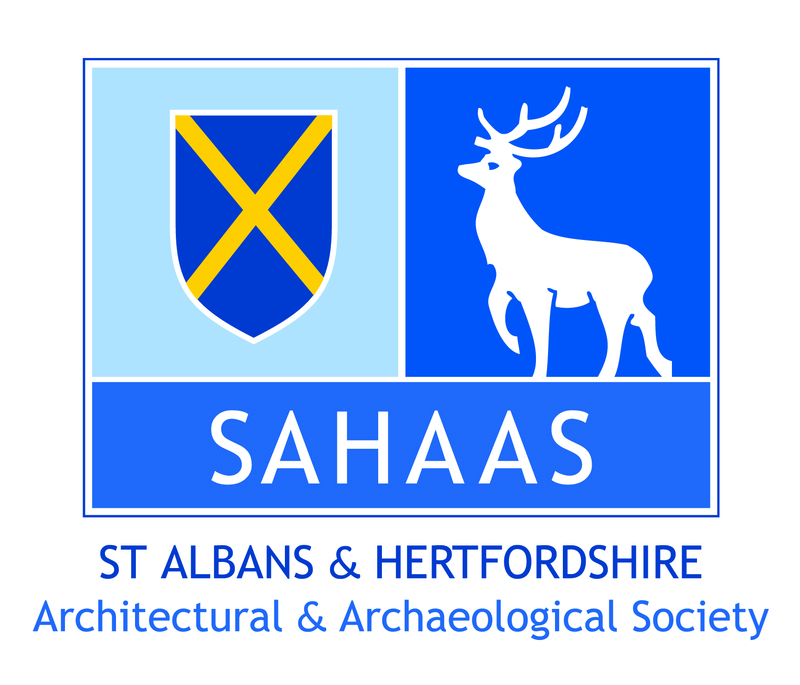 I have given lectures about our work to the St Albans and Hertfordshire Architectural and Archaeological Society, the Römisch-Germanische Kommission in Frankfurt, the Norton Community Archaeology Group and to the Chess Valley Archaeological and Historical Society. Several more bookings are in the pipeline. One excellent addition to our work since August has been access to SEAHA’s Ground Penetrating Radar (GPR). 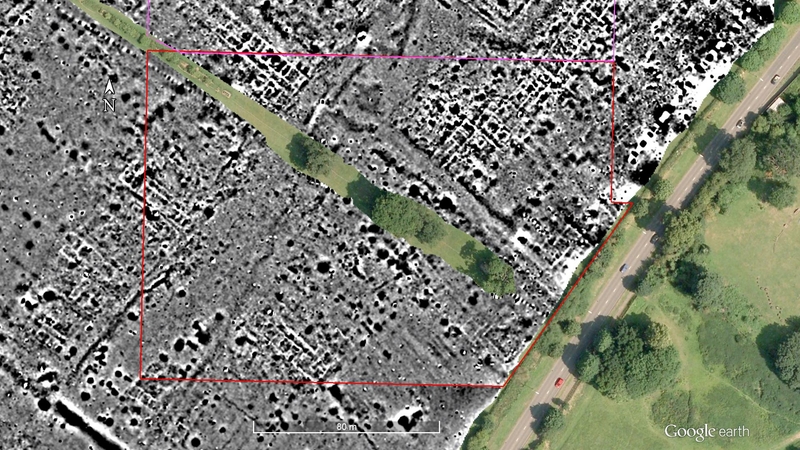 This has been an excellent addition to the range of techniques we can regularly employ on our surveys providing some superb results at Verulamium and Bushey Hall. Hopefully, we can continue to access this machine in 2016, and perhaps even raise funds to purchase our own. We are hoping to continue the survey of the Gorhambury estate side of the town in August. We should be able to complete the mag survey of the Theatre Field and begin on the field to the north of the drive. GPR surveys, perhaps resistance cart surveys, and even a magnetic susceptibility survey are all desirable as well providing we can access the equipment. 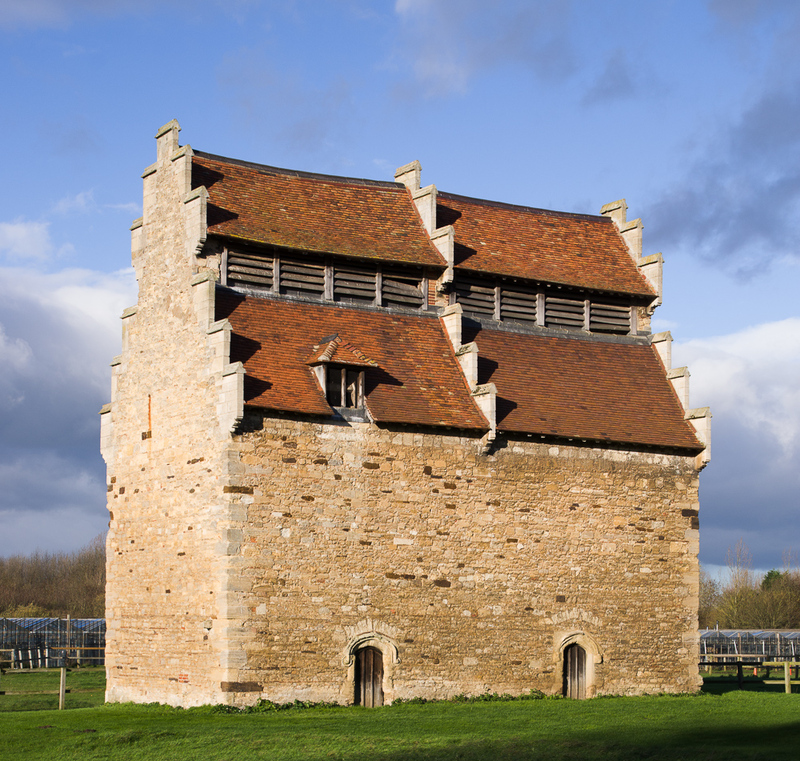 We have been asked if we would be willing to undertake some surveys near the dovecot and stables at Willington, Bedfordshire. The stables and the the dovecot are looked after by the National Trust and are listed buildings. The area around them has been part of a community-based project for a few years looking for the Tudor manorial complex which goes with the standing buildings. 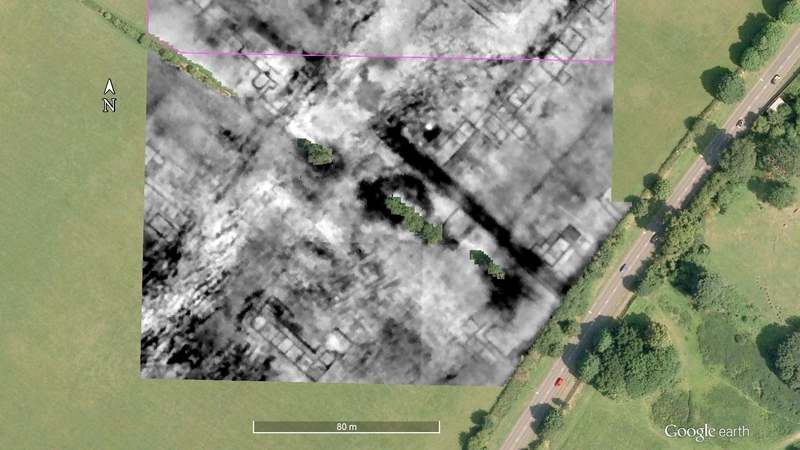 Following our two successful days last February, it would be good to go back and finish the bits of the survey area we were unable to do last time, and perhaps try the GPR out over some of the areas where walls had been detected previously. 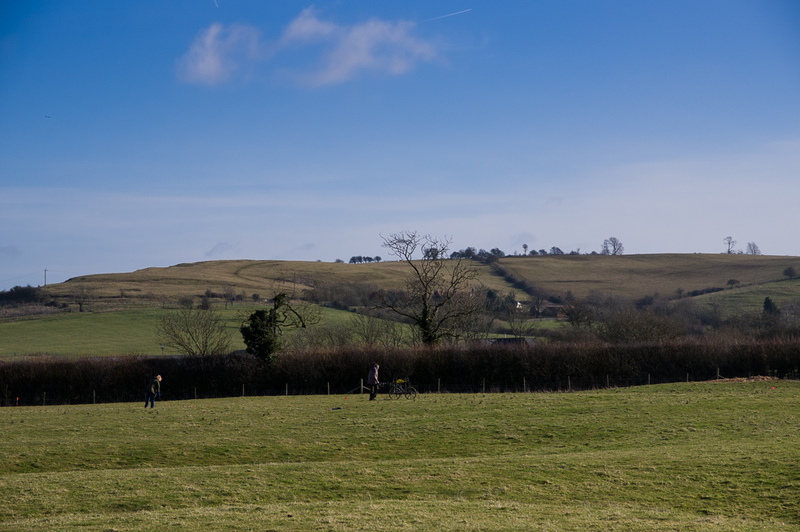 We have been asked if we would like to work with the Wing Heritage Group to do some surveys around this very important village with some great Anglo-Saxon archaeology. It seems an exciting chance to try our equipment out on a different period of archaeology, and to work with a very active local group. The Berkhamsted and District Archaeological Society have been working on the site at the Ashridge Management College for a few years. They have asked if we would be willing to undertake surveys in the gardens. We undertook a survey at Little Hadham on a late Iron Age and Roman site a couple of years back. The site merits more work to extend the survey. 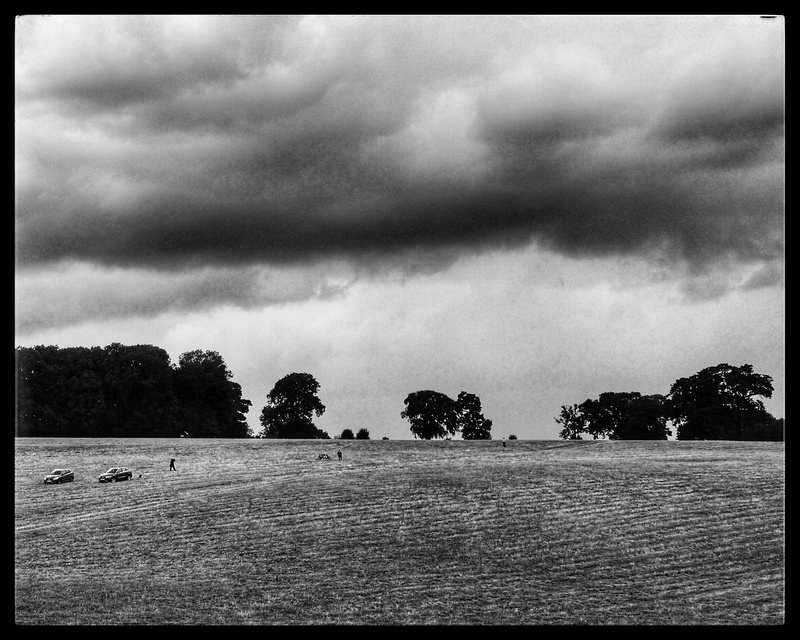 The site at Ashwell is like the road that goes for ever on. It would be good to complete Great Buttway and move into nearby fields. These are just some possibilities! Hopefully I have remembered the main sites… From a personal note I’d like to do some more work at Broom Hall Farm, and in the eastern half of the county more generally. We seem to have been slowly drifting west! Another aspect of our work also needs addressing, and that is writing-up the reports. We need to develop ways to work on mapping the results of our surveys collaboratively, and to investigate archive materials, especially at Verulamium. Help with drafting reports, again especially at Verulamium, is going to be needed. All this makes me think that we probably need to put in for some more grant money to allow us to expand our equipment and software, and to develop ways of sharing the post-fieldwork analysis and reporting. Last, but not least, up to now CAGG has only existed as an informal network based around our mailing list and the blog. Should we be working towards creating a more formal group? 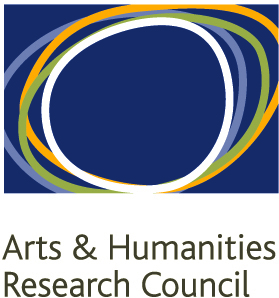 Should planning and prioritizing surveys be placed in the hands of a steering committee? How to we maintain our identity of a cross-arch soc group, rather than being just another arch soc? Ideas and thoughts on a postcard to Kris! I would like to thank everyone involved with our work. Without you, there is no group and there are no surveys. It has been a privilege to work with you all. Here is to another successful year. May our anomalies be clear, our batteries charged and enthusiasm unwaning! This entry was posted in Uncategorized on December 31, 2015 by hertsgeosurvey. Today we ran the mag and the GPR on a warm, if not very sunny, day. All went well, and we completed an area 80m by 160m with the mag, and 80m by 40m with the GPR. All in all a good day’s work. Many thanks to everyone who came out and helped. 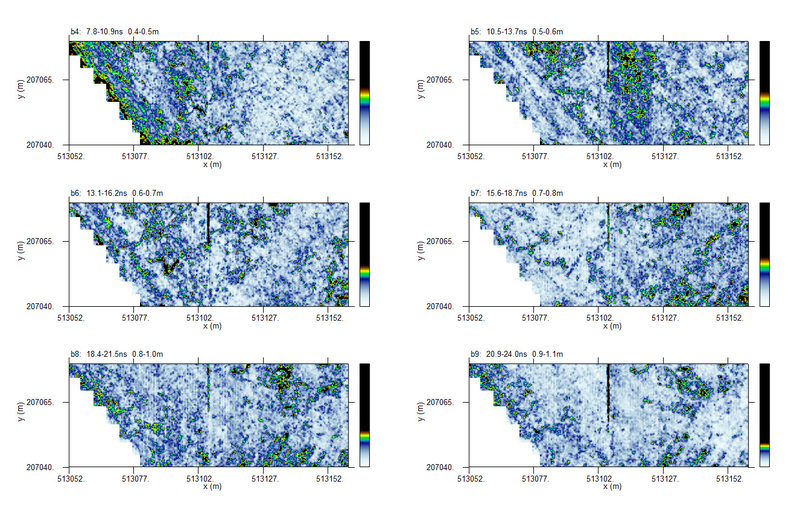 The GPR results will take a little longer to process, but the mag data is looking great. The mag survey after day 3. The temple in Insula XVI shows in the mag data quite nicely, if not very strongly. We hope that the GPR and resistance surveys may show more details. The line of buildings which runs SW to NE that we started to see on day 1 is showing very nicely. Surely they must lie along a road? Other buildings are also showing, and I have marked just one of them. This is Monument 744 in the “Urban Archaeological Database”. Just to the north is a long sinuous ditch. We have about 65m of it so far. The UAD only has 31m of it, recorded as Monument 740. Unfortunately, both these monuments post-date the publication of Niblett and Thompson’s Alban’s Buried Towns so I am trying to find out some more information. The weather forecast for tomorrow (Thursday) is looking grim, so we may not go out. If so, I’ll work on the GPR data! So far, however, the results are looking great. 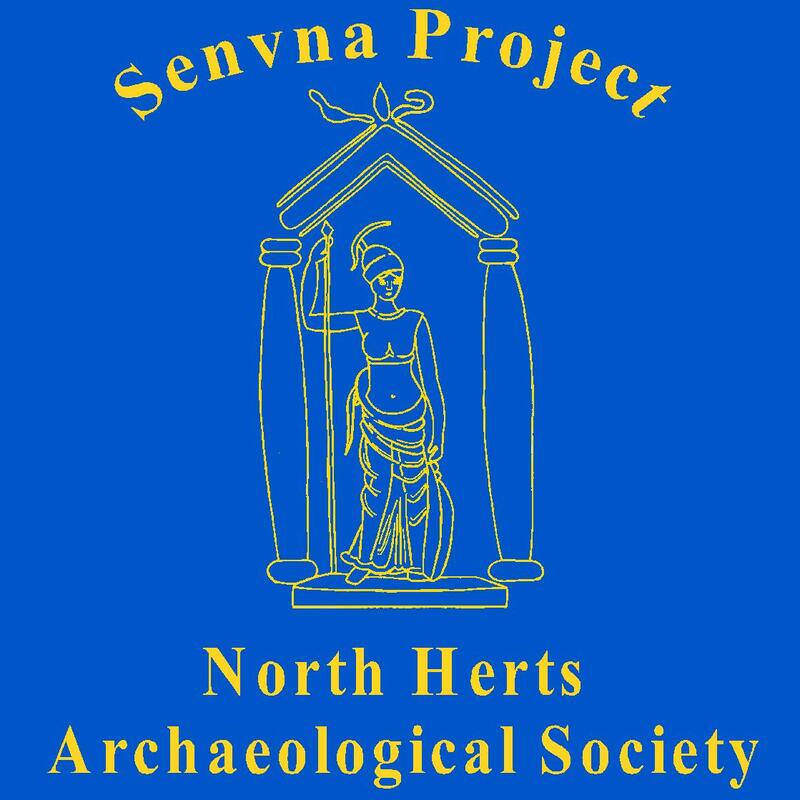 This entry was posted in Uncategorized, Verulamium and tagged CAGG, GPR, Ground Penetrating Radar, Insula XVI, magnetometer, Roman town, temple, ucl, Urban Archaeological Data, Verulamium on August 12, 2015 by hertsgeosurvey. As July draws to a close we have reached the half-way mark of the project. We have bought the machine and run the course. 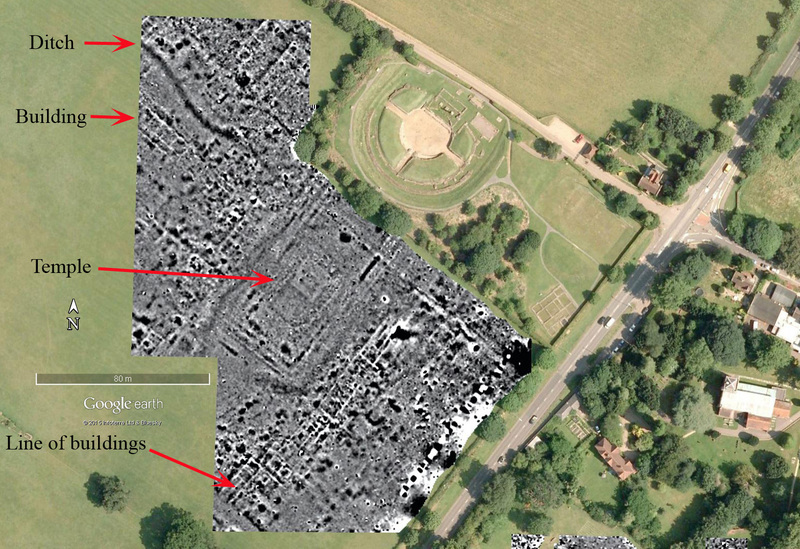 Even if we never surveyed another block in the Park, we have added significantly to what we know about Verulamium. I now know more about the site at Six Acres and am looking forward to finishing the survey when the crop comes off. The first site of several near Braughing has been completed. Plans for surveying at Ashwell are advancing well, and we have agreement in principal for Wheathampstead. Although the next couple of months are going to be extremely busy, I think we can be pleased with what what have achieved so far. All this makes me think of the future. What happens after the project has ended? We are developing into a good group, and it would be a shame to lose that, even if people can still borrow the machine. How can we collaborate? Can we sustain the momentum we have built up? Obviously there are many projects we could pursue: the rest of Verulamium, the landscape around Wheathampstead, the plethora of sites near Braughing, to name but three. Having thought about this a fair bit lately, I wonder if a new group would be the best way to go? How about the Community Archaeology Geophysics Group or CAGG for short? We could keep using this website, and we already having a mailing list. Should we be just a virtual group, or should be have a formal membership? We can collaborate on surveys, or design and implement larger survey projects, we could share expertise and equipment, and perhaps meet now and again for mini-conferences looking at results etc. Is this a good idea? Is anyone prepared to run it at first? Would you all join? Let me know what you think. 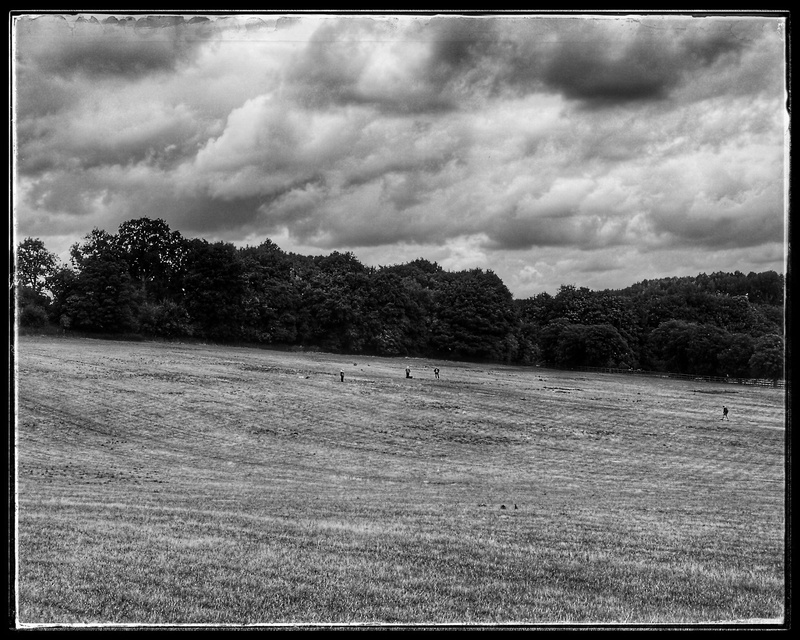 This entry was posted in Uncategorized and tagged Braughing, Hertfordshire, magnetometry, Verulamium, Wheathampstead on July 31, 2013 by hertsgeosurvey.